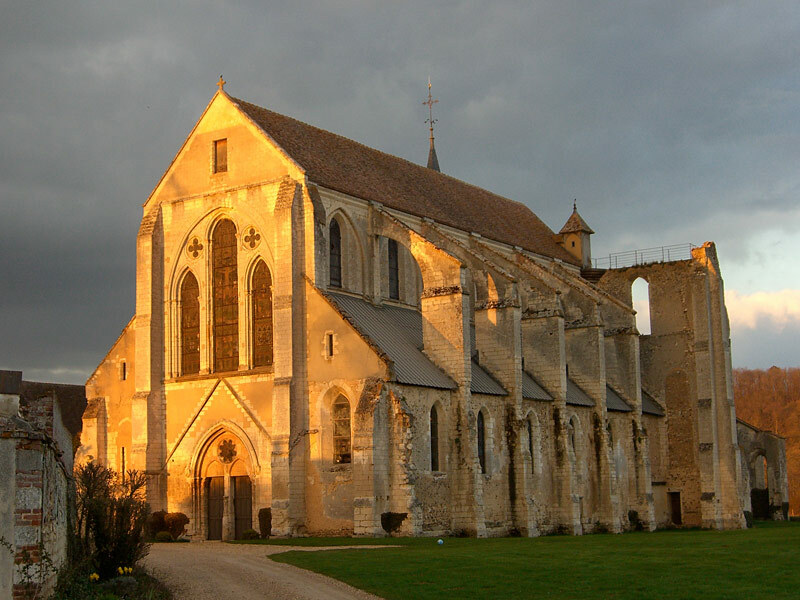 Founded in 1137, by the monks coming from ?les Vaux-de-Cernay?, the Breuil-Benoit is attached to Clairvaux Abbey with the mother Abbey of Savigny en 1147. For having left for the Crusades, he feared that he would never return... Guillaume de Marcilly, a valiant Christian fallen into the hands of the Saracens. Faith and cunning helped him to regain his freedom. Upon his return, he built a great abbey church for the monastery that is father had helped to found. This church was dedicated in 1224, but the Crusader died before its completion. Today, you will not see the transept, which was demolished subsequent to the sale of the estate during the Revolution. However, the church is still an impressive Gothic nave. 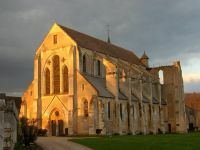 It is the only abbey church to remain standing, whereas all the other abbey churches, masterpieces of mediaeval Norman Cistercian architecture, have fallen. Isn't that Breuil's finest miracle? A sober and sublime structure, magnificently preserved from harm over the centuries. The abbot's lodge has all the elegance of a Louis XIII château with graceful clamps of brick and stone. While its history deviates from the monastic ideal, it is pleasant to behold.